Fry and the Guy | WrestleMania: Undertaker vs John Cena, Charlotte vs Asuka, WrestleMania 35 Main Event predictions and more! Fry and the Guy’s WrestleMania Coverage: Day Four! It’s the final day of Fry and The Guy’s WrestleMania coverage right here on the Win Column Sports Network. The guys are joined once again by Spencer Love and are also joined by Fry and The Guy Show regular, Jake. 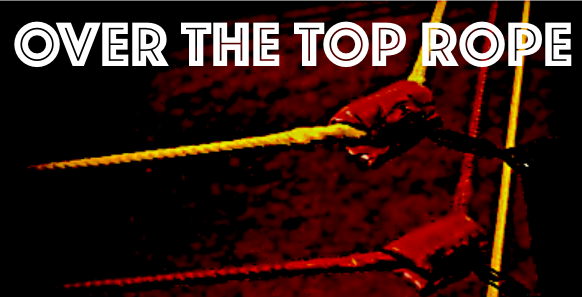 To start the coverage, the guys look into the crystal ball and look ahead to WrestleMania 35. What should be the main event of next years show of shows? It’s the biggest match the Women’s division can produce. Charlotte Flair is defending her Smackdown Women’s Championship against the undefeated Asuka. How long should Asuka’s streak go? Should Carmella cash in her Money In The Bank contract? Braun Strowman still does not have a partner for his match Sunday. Who should be his partner? Does The Bar stand a chance against the Monster Among Men? John Cena vs The Undertaker has long been rumored for WrestleMania. Did WWE make the right move by not announcing the match as official before WrestleMania? Do we even want to see this match? Does The Undertaker lose at WrestleMania again? WHAT MOVIES MAKE US CRY?! And finally the show ends with Fry’s Annual WrestleMania Hype Montage. All this and more on the final day of The Fry And The Guy Show’s WrestleMania Coverage on the Win Column Sports Network.